2 Room Black Edition - Tahoe Industries Canada Ltd. 2 Room Black Edition - Tahoe Industries Canada Ltd. Newest design in the Tahoe fleet. 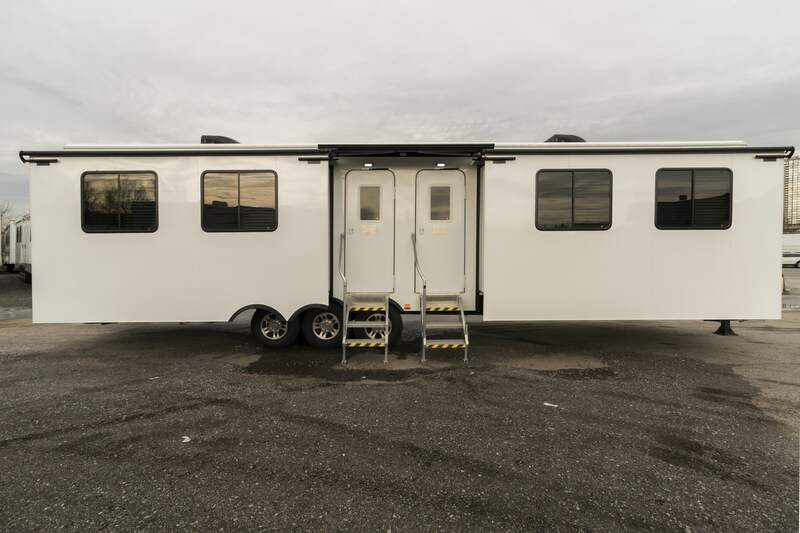 This trailer brings the comfort of a boutique hotel to anywhere, at the studio or on location. The space provides a relaxing retreat from the chaos of set. 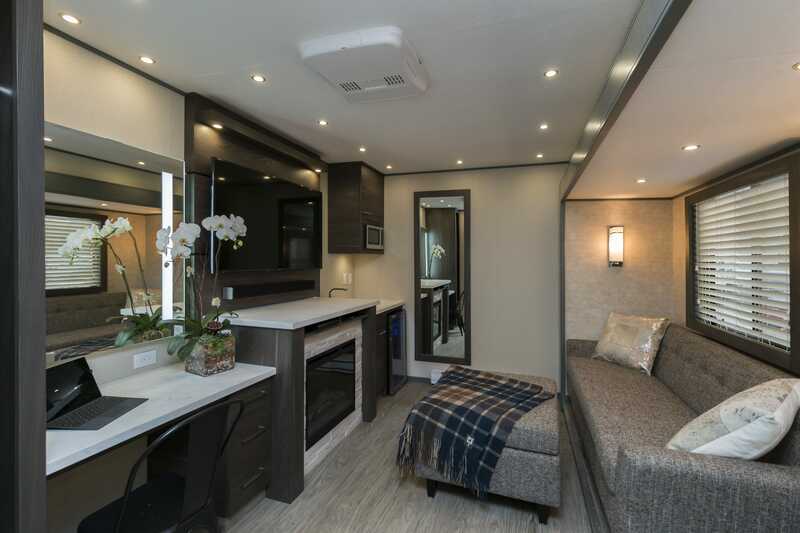 This trailer features an extremely large curbside slide-out that houses a custom sofa and ottoman as well as an automatic leather recliner. There is also a bonus feature of an electric awning over the entry way. The actors can relax in a room decorated in a modern contemporary style. 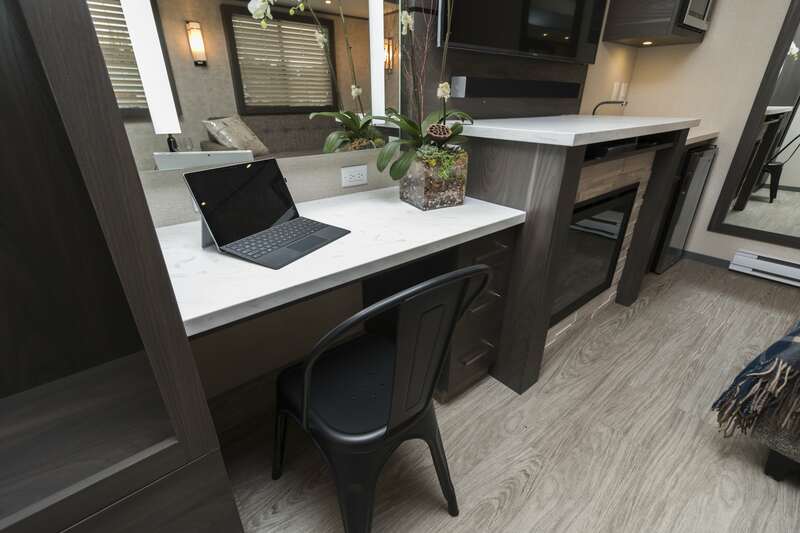 Actors can also enjoy the amenities of a stainless microwave, bar sink and beverage cooler. 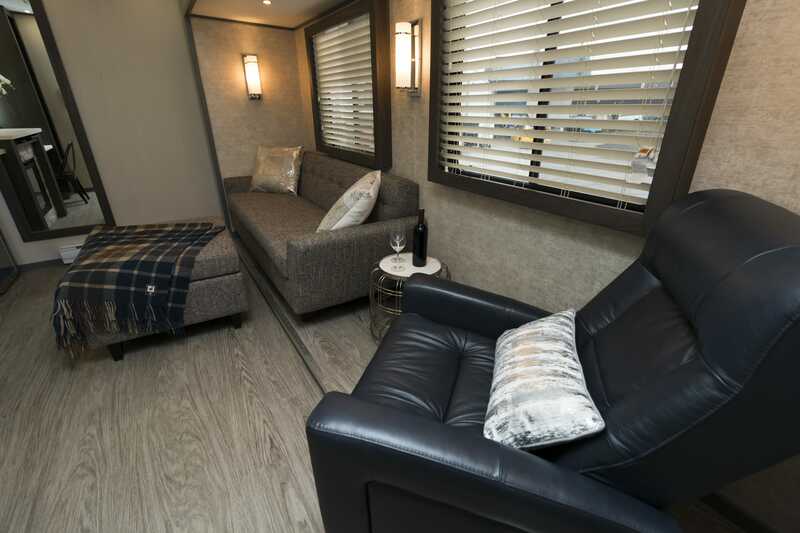 This unit is equipped with an entertainment unit which includes a LED TV, DVD player and sound bar with Bluetooth capabilities to play music from all your personal devices. 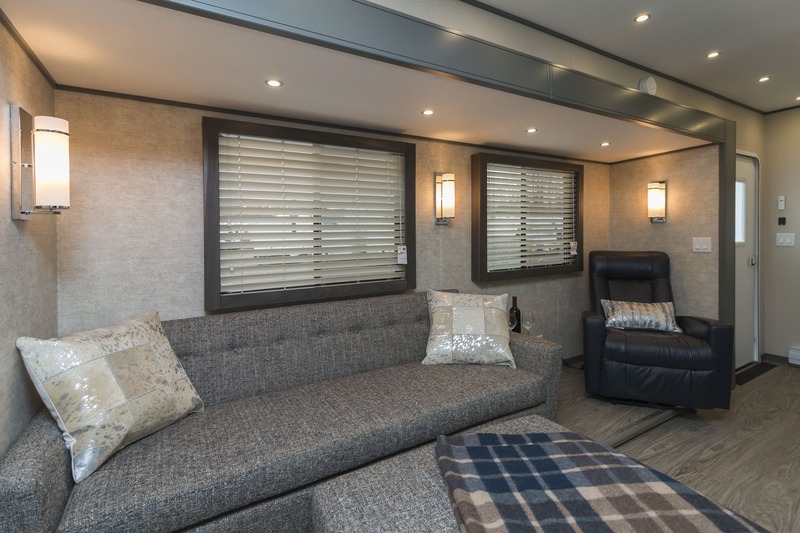 Only in the Black Edition of the 2 Room Trailer is equipped with satellite TV with HD channels and radio stations. 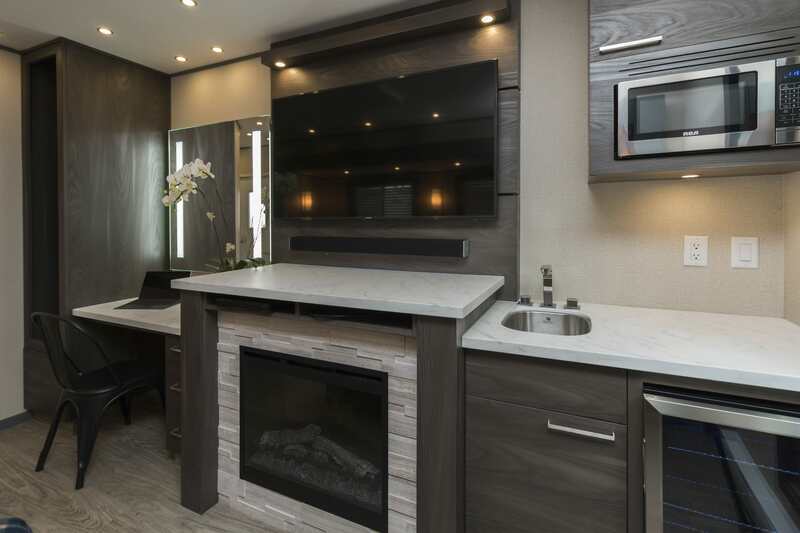 In addition, the entertainment unit is highlighted with a stone accented electric fireplace to bring a cozy luxurious atmosphere. There is a versatile and well-lit make-up table that can double as a desk when going over your scripts. 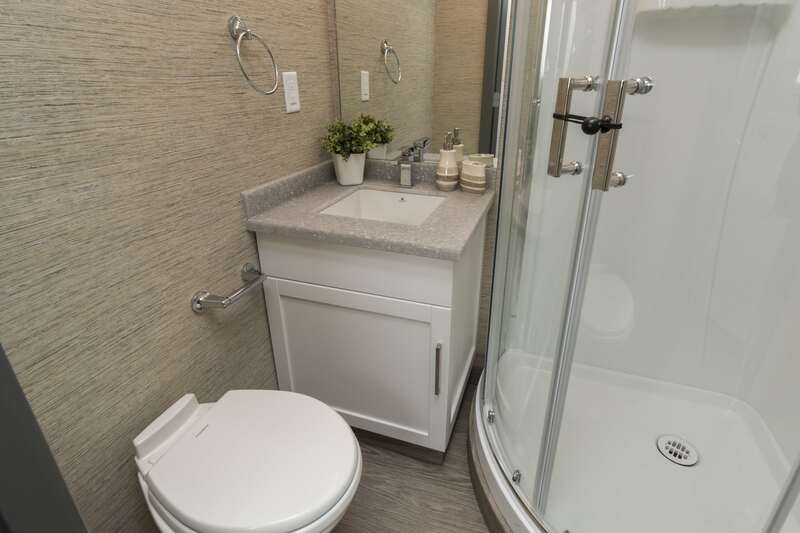 The full bathroom has a full sized shower stall, toilet, counter space and sink. 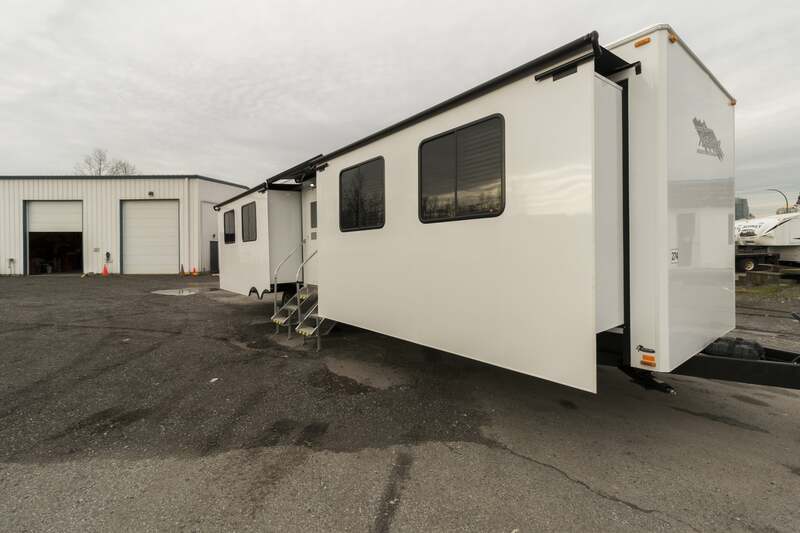 This unit has air conditioning and electric baseboard heat." 604.299.1008 and let us know what you need. © Copyright Tahoe Industries Canada Ltd. All Rights Reserved.